Copenhagen is gearing up to welcome local and international press and buyers for its SS19 edition of CPHFW (8-10 Aug.), serving up a busy schedule of catwalk shows to run alongside key tradeshows CIFF and Revolver. Revolver’s prestigious new partnership with Pitti Uomo – which saw the Copenhagen fair set up a guest-space back in January ’18 – has helped to promote Scandinavian fashion and Revolver globally, something that is likely to attract more international buyers and press to the show – and Copenhagen – next week. As for the brand mix, there will be some 300 exhibitors on show as per previous outings. 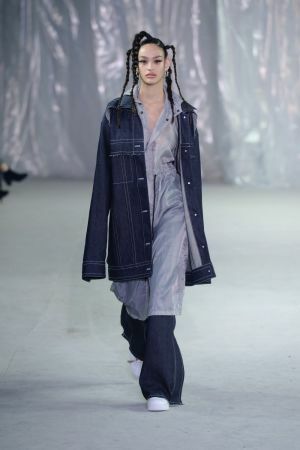 Newcomers such as British line The Cooper Collection and Danish denim brand Blanche will join the show’s established roster of names including Wood Wood, Henrik Vibskov, Soulland and Rodebjer. Over at Bella Center, major tradeshow CIFF’s longtime home, some 2000 brands will gather across the 60,000 sqm space to show their SS19 wares. Raven – the perennial showcase dedicated to emerging talent – is set to include Daniel W. Fletcher, 424, Black Barret, Geym, Magliano, Phipps and Second Layer. Brands such as Ellesse, Superga, Fila, Helly Hansen and Eat Dust will take up residence within the fair’s Urban section, and if you’ve come to discover Woolrich, J. Lindeberg or Belstaff’s latest collections, head to the Premium area. Various events and panel talks will take place – keep an eye on CIFF’s soon-to-be-released schedule. A wide array of catwalk shows and presentations are lined up over Copenhagen’s three-day fashion fest. Revolver Runway will be hosting shows by names including Morten Ussing, mfpen, Elaine Hersby, Heliot Emil and Lærke Andersen, while CIFF’s catwalk venue, conveniently located within the Bella Center side by side with the fair, will be graced by a slew of designers. The final CIFF Runway schedule will be revealed before kick-off next week.